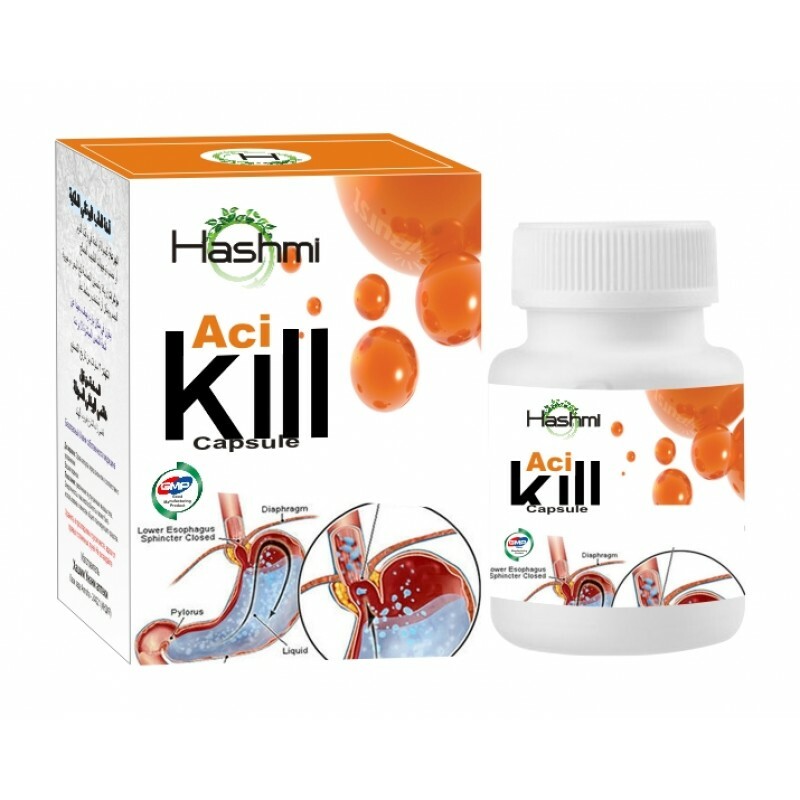 Hashmi Acikill is a natural solution for acidity and burning sensation experienced in the stomach due to consumption of spicy or oily food. It has been found to be extremely effective in treatment of problems such as stomach ulcers, acidity, flatulence and other digestive problems which may occur because of improper diet. It improves assimilation of digested nutrients and treats upset stomach quickly. This is a Unani treatment which has been manufactured using natural herbs and gives instant results without any kind of side effect. It is a natural healer and gives instant relief from all types of stomach ailments. It is one of the largest selling herbal medications for acidity in the world. Millions of patients suffering from chronic acidity and indigestion relation problems have found relief from Hashmi Acikill. This is an award winning product which has been approved by various health boards.This is a 100% natural product which does not lead to any kind of side effect and can be used without any kind of prescription.